Install the warm up three way catalytic converter (5) to the brackets and the turbocharger. Use a NEW warm up three way catalytic converter seal (2). Install a NEW warm up three way catalytic converter V-clamp (1). 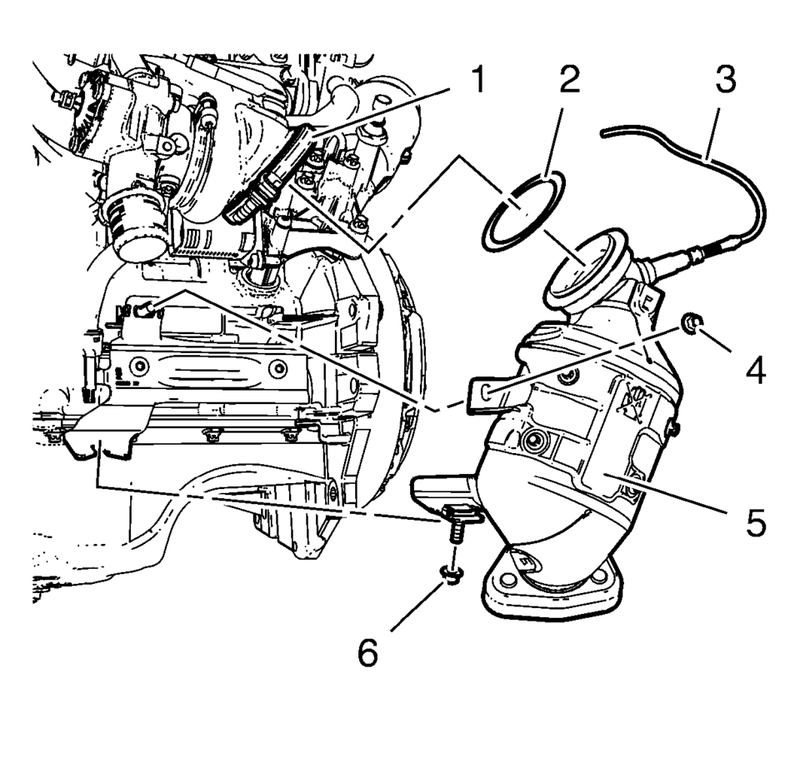 Install the 2 catalytic converter to catalytic converter bracket nuts (4) and (6) and hand tighten. Hand tighten the catalytic converter V-clamp. Connect the heated oxygen sensor wiring harness (3) to retainer clip. 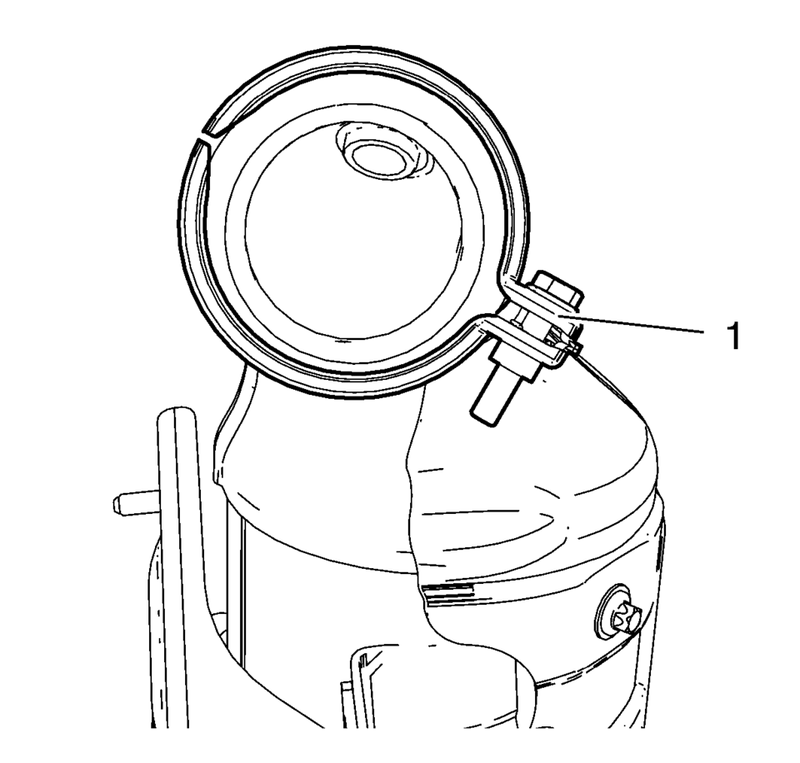 The catalytic converter V-clamp (1) should be installed in the shown position.